ELS/La Verne is situated within La Verne’s Old Town district – a residential community with easy access to public transportation that provides a friendly, small-town atmosphere. While living in La Verne, students can enjoy the city’s many entertainment opportunities, including beaches, museums, theme parks, and more. “We have a Center that really works together, that really is focused on the students, their success; a sense of community. We want them to be ready to take the English that we teach them in class and go out into the real world. If they’re planning on going to university, we want them to be ready to go into the classroom to have discussions and to write papers,” said the ELS/La Verne Academic Director. The University of La Verne offers over 50 undergraduate majors and over 15 graduate programs. Students have the opportunity to get involved in research projects and internships, and take advantage of local cultural, intellectual, and recreational resources. 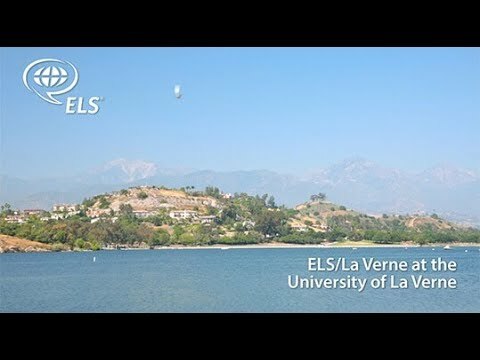 Learn more about ELS/La Verne. Learn more about the University of La Verne.